Halo: The Master Chief Collection is a compilation of first-person shooter games for the Xbox One, released by Microsoft in 2014. 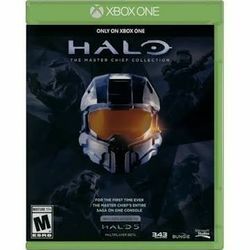 It features graphically enhanced remakes of five Halo games, modified from their original versions to suit the more powerful Xbox One. This page was last edited on 26 July 2016, at 16:41.